With only a few weeks to spare for planning, it's about time you started choosing your Halloween costume! If you haven't already got one in mind, we've got some amazing DIY costume ideas for you! Try any of these ideas and you're sure to be the the most dazzling Princess at the ball! (or party, or wherever you're going!) Browse our list of the Top 5 Disney Princess costumes as created by some of Pinterest's most creative users! 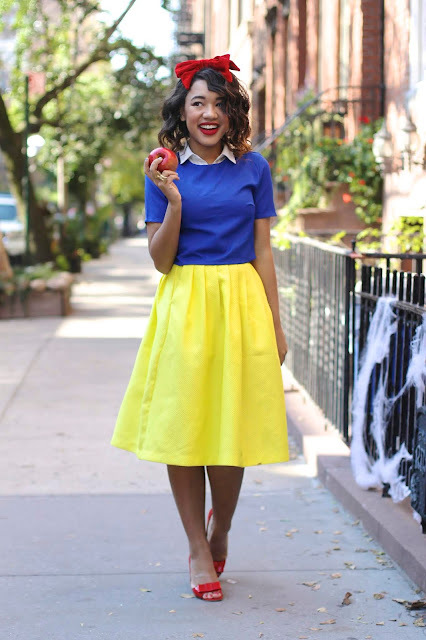 Brought to us by a true veteran of Disney get-up, ColorMeCourtney has the perfect DIY style for Snow White. From the bright yellow skirt to the red bow on top, she has absolutely nailed it! All you'll need for this costume is a blue short-sleeved top, yellow skirt, white collared shirt with short sleeves (or sleeveless), a red bow, red heels, and, of course, an apple! 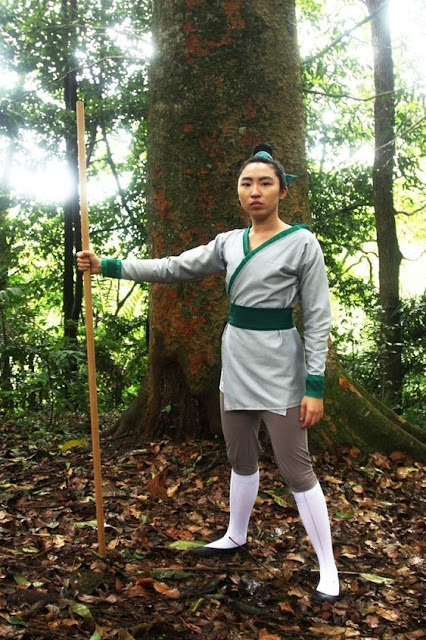 This next costume comes to us from WorldCosplay and is a wonderful recreation of Mulan in her training uniform! It's super easy to make, fits the character, and best of all, it's actually comfortable! All you'll need is some grey leggings, long knee-high white socks, black flats, a mint-green robe, some darker green fabric (for the belt and holding up your bun), and finally, a wooden walking stick, which you can purchase at a hardware store, or honestly, take from a rake in your garage! While a full-blown Ariel as a mermaid costume would most certainly steal the show, it would also probably make you colder than you're comfortable with in late October. 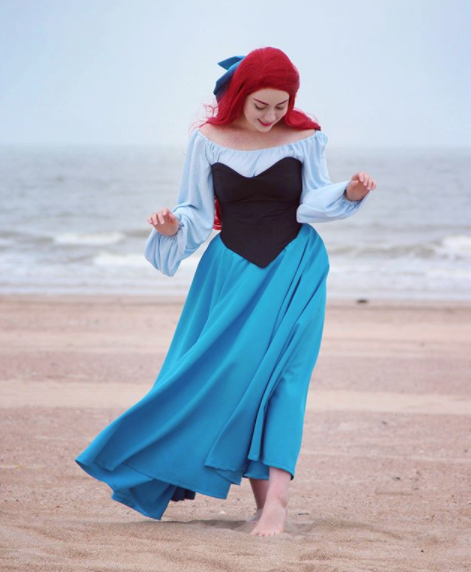 Unless you're somewhere warm enough, you can always opt for the walking version of Ariel! This adorable rendition from @Fiona2906 on Instagram is just about perfect! Simply find a long-sleeved body suit in either white or light blue and pair it with a black tube top or vest. From there, add the finishing touch of the aqua skirt, and a big blue bow for your hair and you're all set! 4. Cinderella - Brit + Co.
Rather than spend the time, and money, on creating a blue ball gown and shimmering heels, you can always choose to go with the outfit Cinderella wears throughout the rest of the movie! After all, it's warmer, more comfortable, and costs a lot less! All you'll need for this outfit is a light blue long-sleeved shirt, a black tank top for over top of that, a long brown skirt, and a white apron for clothing. For accessories, black flats and a broom are all you'll need! Bippity Boppity Boo! As with other costumes before this one, we're going the easy-and-inexpensive route with this Belle costume! Created by the folks over at Merrick's Art, this Belle costume absolutely nails the fine details! All you'll need for this is a blue dress, some blue ribbon for the elbows, a white collared shirt, a blue bow, black heels, a white half-apron, and a few books! There you have it! 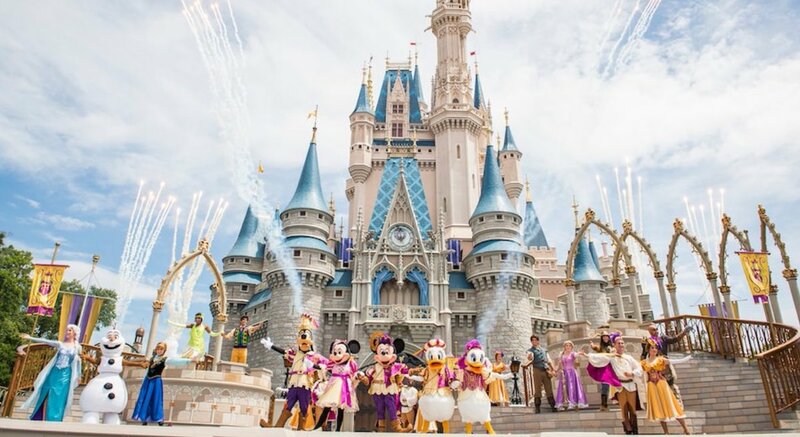 5 Dazzling DIY Disney Princess costume ideas to get you ready for Halloween! Enjoy the celebration, be safe, and most of all, stay Magical!